I am a Professor in the Mathematics Department at the University of Georgia and the director of Euclid Lab. From July 1 2019 to June 30 2020 I will be in Bonn, Germany, as the Hirzebruch Chair at the Max Planck Institute for Mathematics. My main area of research is 4-dimensional topology. I obtained my Ph.D. in mathematics from the University of California, Berkeley under the supervision of Robion Kirby and have worked as a research mathematician since 1999. Curriculum Vitae: This is a link to a pdf version of my CV, updated February 14, 2019. 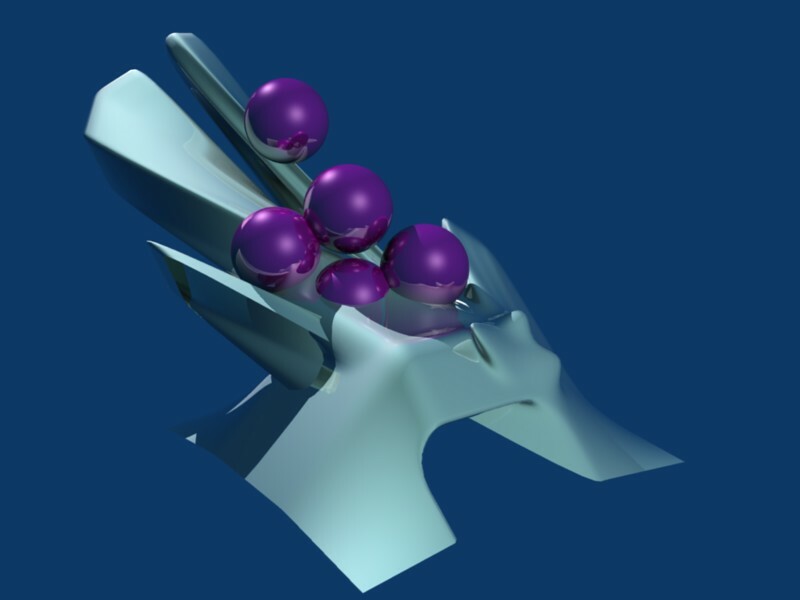 Research: I have been working since 1996 on problems related to constructions of smooth 4-manifolds with additional geometric structures related to symplectic and contact geometry. 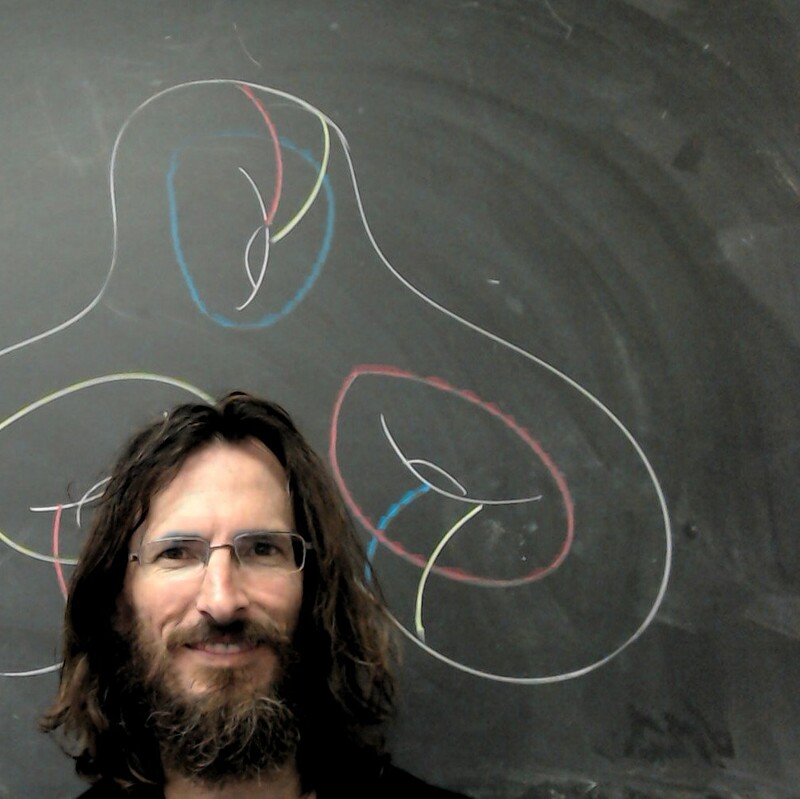 I am currently very wrapped up in thinking about trisections of 4-manifolds, as generalizations of Heegaard splittings in dimension 3 to the 4-dimensional setting; where 3-manifolds are split into two handlebodies, 4-manifolds are now trisected into 3 4-dimensional 1-handlebodies. Some past, more-or-less ongoing and/or potential collaborators, in no particular order, include Juanita Pinzon-Caicedo, Nick Castro, Jeff Meier, Gordana Matic, Joan Licata, Rob Kirby, Margaret Symington, Andras Stipsicz, Aaron Abrams, Valerie Hower, Olguta Buse, Bruce Bartlett and Thomas Mark. UGA Topology: The University of Georgia has been a great place for topology since way back when, and the Georgia Topology Conference has been "serving topologists since 1961". Here's the web page for the UGA Topology Group. Students: I have five current PhD students: Swapnanil Bannerjee, Sarah Blackwell, Jason Joseph, Bill Olsen and Terrin Warren. Nick Castro finished his PhD under my supervision in 2016 and is now a postdoc at the University of Arkansas. Blog: You can read my research blog here, but it's not very well maintained these days. I have plans to do better. Teaching: I have taught a wide range of university-level mathematics courses, ranging from graduate courses in knot theory and algebraic topology to college algebra courses and courses for future elementary and high school teachers. Outreach: I have given many mathematics enrichment talks at local high schools in communities as diverse as rural Quebec and the townships of Cape Town. My biggest such project is running Camp Euclid. Mathematical Illustration, Design, Teaching and Outreach: I am very interested in how these four activities interact, and the most interesting project I have been involved in to date related to this is my ongoing collaboration with Moon Jang, Associate Professor in the Lamar Dodd School of Art at UGA. "From Heegaard splittings to trisections; porting 3-dimensional ideas to dimension 4'', arXiv preprint. 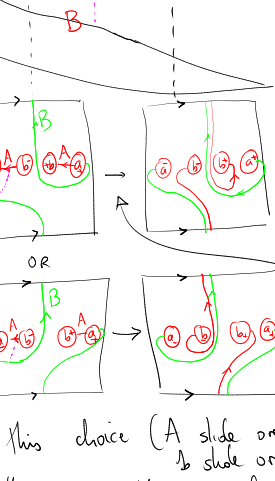 "Doubly pointed trisection diagrams and surgery on 2-knots'', with J. Meier, arXiv preprint. "Functions on surfaces and constructions of manifolds in dimensions three, four and five'', to appear in Proceedings of the 2017 Georgia International Topology Conference, Proceedings of Symposia in Pure Mathematics. arXiv:1701.01711. arXiv preprint. "Trisections of 4-manifolds with boundary'', with N. Castro and J. Pinz\'on-Caicedo, Proc. Natl. Acad. Sci. USA 115 (2018), no. 43, 10861–10868. "Diagrams for Relative Trisections'', with N. Castro and J. Pinz\'on-Caicedo, Pacific J. Math. 294 (2018) 275-305. "Group trisections and smooth 4-manifolds'', with A. Abrams and R. Kirby, Geom. Topol. 22 (2018) 1537-1545. "Morse structures on open books'', with J. Licata, Trans. Amer. Math. Soc. 370 (2018), 3771-3802. "Trisections of Lefschetz Pencils'', Algebr. Geom. Topol. 16 (2016), no. 6, 3523--3531. "Trisecting 4-manifolds'', with R. Kirby, Geom. Topol. 20 (2016), no. 6, 3097--3132. "Indefinite Morse 2-functions; broken fibrations and generalizations", with R. Kirby, Geom. Topol. 19-5 (2015), 2465--2534. "Discretized configurations and partial partitions", with A. Abrams and V. Hower, Proc. Amer. Math. Soc. 141 (2013), no. 3, 1093–1104. "Reconstructing 4–manifolds from Morse 2–functions", with R. Kirby, Proceedings of the Freedman Fest, 103–114, Geom. Topol. Monogr., 18, Geom. Topol. Publ., Coventry, 2012. "On symplectic caps", with A. Stipsicz, in Perspectives in Analysis, Geometry, and Topology (in honor of Oleg Viro), Birkhäuser Progress in Mathematics, 2011. "Fiber-connected, indefinite Morse 2-functions on connected n-manifolds", with R. Kirby, Proc. Natl. Acad. Sci. USA 108 (2011), no. 20, 8122–8125. "Symplectic surgeries and normal surface singularities", with A. Stipsicz, Alg. Geom. Topol. 9:2203-2223, 2009. "Toric structures on near-symplectic 4-manifolds", with M. Symington, J. Eur. Math. Soc., 11(3):487-520, 2009. "Symplectic rational blow-down along Seifert fibered 3-manifolds", with A. Stipsicz, Int. Math. Res. Not., 2007:rnm084-20, 2007. "Constructing Lefschetz-type fibrations on four-manifolds", with R. Kirby, Geom. Topol., 11:2075-2115, 2007. "Four-dimensional symplectic cobordisms containing three-handles", Geom. Topol. 10:1749-1759, 2006. "Constructing symplectic forms on 4-manifolds which vanish on circles", with R. Kirby, Geom. Topol., 8:743-777, 2004. "Open books and configurations of symplectic surfaces", Algebr. Geom. Topol., 3:569-586, 2003, with "Correction", Algebr. Geom. Topol., 3:1275-1276, 2003. 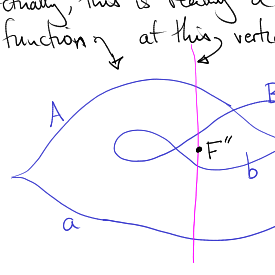 "Explicit concave fillings of contact three-manifolds", Math. Proc. Cambridge Philos. Soc. 133(2):431-441, 2002. "Symplectic 2-handles and transverse links", Trans. Amer. Math. Soc. 354:1027-1047, 2002. "Symplectic 4-dimensional 2-handles and contact surgery along transverse knots", PhD Thesis, UC Berkeley, 1999. "Basic results in the classical inversive plane", AB Thesis, Harvard College, 1991. "A Wiener filter version of blind iterative deconvolution", with P. Nisenson and C. Standley, in Proc. of the STScI Workshop on the Restoration of HST Images and Spectra, R.L. White and R.J. Allen, eds., 1990.